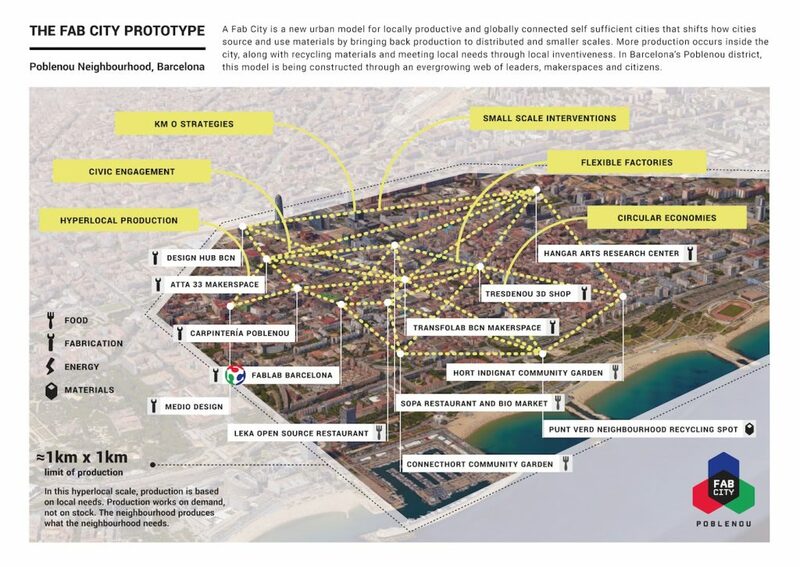 From Circulate News’ Benjamin Tincq: The Fab City, a locally self-sufficient and globally connected city, invites us to explore how digital manufacturing could relocate food, energy and industrial production in an urban setting. It was the central subject of an evening organised by OuiShare on November 10 as part of the Disruptive Innovation Festival on the exploration of the future of cities. In the following interview, Tomás Díez, founder of the IAAC, Fab Lab Barcelona and instigator of the Fab City program, tells us more about this project and his vision for the future of the city. This article originally appeared in OuiShare Magazine. Hi Tomas, can you give us a brief introduction and tell us how you ended up launching the Fab Cities project in Barcelona. Tomas Diez: I am an urbanist and technologist from Venezuela. I moved to Barcelona 10 years ago to work at the Institute for Advanced Architecture of Catalonia (IAAC). They were setting up a Fab Lab at the time and I took charge of it, as it was the perfect way to combine my previous education with my interest in cities and distributed production. It also taught me that if we want to change cities, we need to look beyond the design point of view and consider the dynamics at play. It’s not just about putting sidewalks or trees here or there, but thinking about the fundamental dynamics that could transform the way people live in an urban space. So, Fab Cities are basically a combination of digital manufacturing, sustainable and smart cities, and circular economy, is that right? TD: Yes, one could say so, but remember that digital production is more than just 3D printing! The Fab Lab is really a base for a larger vision to digitise and relocate fabrication. It’s a playground for experimentation where we can prototype new distribution models and reinvent the relationship between consumption and production. We are mainly researching fabrication models that allow people to make their own things closer to home, instead of buying everything from China. Fab Labs are not about technology, but are instead about the culture around technology. And they are spreading fast. Today there are over one thousand Fab Labs across the world, together functioning as a distributed production system on a small scale. I can design something in Barcelona, and without using fossil fuel, create the identical product in Cape Town, Wellington or Tokyo. Can 3D Body Scanners Help with Weight Loss?